I thought it the work of an inexperience author. I thought the author was writing his first book. Turns out he has written several books. I could forgive a first time author for the blatant mistakes in plot and character development. The main character is supposed to be a Marine fighter pilot. Please dear God, don't let this character be an honest representation of our Marines. He has the mentality of a 13 year old virgin. I would not recommend this for a reader above a preteen. If you have more money than sense, then by all means buy this book. If however, you value your hard earned money, save it. I hate to base my purchases on reviews, you can miss some wonderful authors. I am an avid reader, who loves Sci-Fi/ fantasy books, but they must be well told stories. This is not one...! I wish this book had been written by a real Marine. I mean not every Marine is a war dog. they must have clerks, cooks, and supply personnel. They just have to be in a war zone to get a combat ribbon. This marine makes every combat mistake you can think of, costing him warriors and losing encounters. 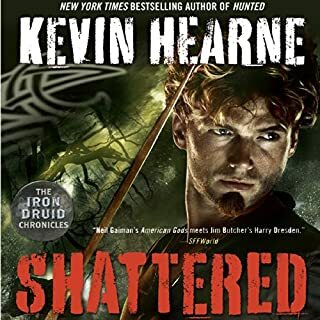 He keeps having to heal the amazons, because he risks them needlessly. Even as a Gamer, he ignores messages and never reads the stats and abilities of everything he finds. He blows me away by not making love to the amazons, who need his love and attention. Sort of like denying Vampire warriors the blood they need to survive. This author is proud to be an ex Marine, but all he does is put a fear in me that he represents the modern marine. Like there are recruiters out there searching for social Justice warriors. Trying to fill the ranks so he may get a bonus for getting living bodies to join. I read the first book and liked the premise of the story, but figured that it was his first book. I find he has written several books. So now I know this is not inexperience, it is just a lack of talent. I wonder if he has beta readers and an editor. If you're over 13 years old and have any life experience, then don't waste your time and money. This author will just piss you off. You can get your money back, but you can't get your time back.....! Post Script: The narrator could not express emotion if his dog had just died...! All characters sound the same. He does have a deep pleasant voice, he should be announcing train departures. Harry just keeps getting better. Would you listen to Skin Game again? Why? I will listen to this several times again. Jim is an artist in his writing and like the great masters he just keeps improving in his craft. He has a character that touches the hearts of his readers and he is a true hero, complete with faults that the reader can understand and forgive. He tries to be wise and understand the rules of the White counsel, but when the rules endanger the people he loves, he scraps them. He knows he will pay for his choices and tries to mitigate the cost to the world, even at the expense of his own life. Yet he has learned that he can't control it all and even though he tried to remove himself from the game, others have more power and control of the board. Harry Dresden, he could be the kid next door and you would like him anyway. Yes, he has Harry pegged. He carries the narrative without droning you into sleep. I laugh at all of the Dresden books. Harry has a good sense of humor. If you just read this book you will like it. Yet if you start at the first and read them all, you will love it. You will come to wait for the next one like a kid waits on the Ice cream man on a hot summer day. 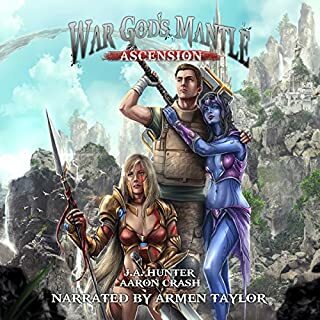 He can play with the best of the fantasy writers, past and present. I hope this story never ends. Would you listen to Shattered again? Why? Yes, I am always surprised by what I catch the second time through. I love the wolf hound, He makes me laugh. I fell into this story by chance, I didn't think I would like it and never this much. He has used so many powerful characters and still keeps the hero real. He makes the same mistakes most of us would and he has a good heart. Time has not turned him into a disillusioned cynic and made this a serious story. He still finds humor in the world around him. He loves his dog and that makes him ok in my mind. 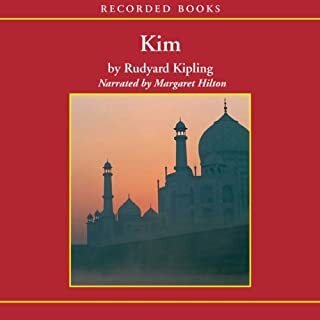 Rudyard Kipling's classic adventure story, Kim, tells the tale of an Irish soldier's orphan son, who roams the back alleys and bazaars of British-ruled India. The young urchin learns the rules and language of the dirty streets, until he discovers his father's old army regiment. Suddenly, Kim abandons his former life and native customs, buys expensive European clothing, and begins a new career as a secret agent. Both an exciting adventure and a detailed look at a spy's inner conflicts, Kim is one of Kipling's most important and popular novels. Kipling tells a riveting tale. I would and have recommended the book to my friends. This book is written about an orphan boy, but written for adults. I liked the way that Kipling can put you in among the crowds in rural India in the late 1800's. He brings the sounds and smells right into your mind and lets you feel like you are among the people he is writing about. There is a game Kim was taught that the CIA uses today to teach their agents to see what they are looking at. I am amazed that the story is over a century old and still relevant today. It is a full and rich story that will bring the reader many hours of pleasure, long after the tale is told. Which character – as performed by Margaret Hilton – was your favorite? If you could rename Kim, what would you call it? Kipling wrote the "Jungle Book" and it was made into a children's movie, but once you read it you will know it was written for the adult mind. Kim is a master piece and should be on your "Don't Miss" list. 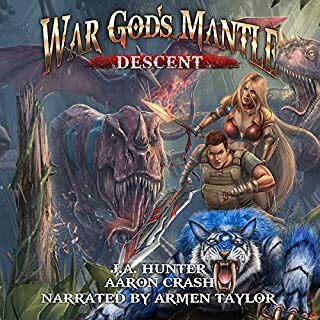 You will love this book and I hope you think of this review after your done reading it. Winter's knight! It aint right! Mab may cry! Would you listen to Cold Days again? Why? 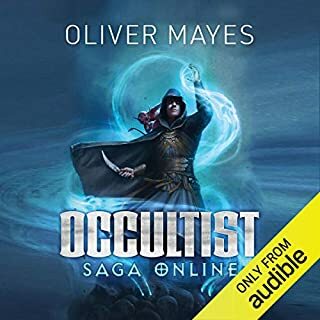 I have already listened to this book twice. You will hate to turn it off to sleep. You can trust Jim Butcher to tell a great tale. 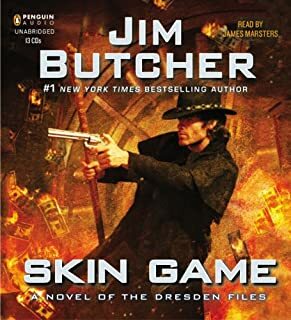 Harry Dresden is a "one of a kind character." The flavor of the world Harry lives in is as sweet as honey. You can only hold your breath while waiting to see what Harry will do next. Harry Dresden is my favorite character. He is the same smart a$$ as I was as a kid. He feels the pain of his choices and is always trying to do the right thing. Yet he is still learning that life is hard and often requires personal sacrifice for those we love. Harry always steps up to the challenges of life. Have you listened to any of James Marsters’s other performances before? How does this one compare? I like the way he reads the Dresden series. He does a fine job. I laughed often and found myself on the edge of my seat. You won't go wrong with this book. If this is the first book of Harry Dresden you have read, you have a lot of fun ahead of you. I envy you the chance to read these books for the first time. 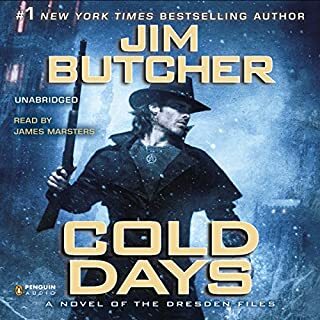 I have reread many of the Dresden files. But, there is just one first time for each book. Have fun, I did !